Support for RAW images captured with the D4 has been added. Extra High 1 (Extra High) and Extra High 2 items have been added to the Active D-Lighting pulldown menu under Camera Settings in the Develop section of the Edit List. When "Always use the latest Color Reproduction Process" in the Picture Control Utility Preferences is selected for images captured with cameras released prior to the D4, these items will be displayed. Event ID can now be displayed under File Info 2 in the File & Camera Information section of the Metadata palette for images captured by, and to which IPTC information has been added using the IPTC item in the camera’s setup menu, the D4. Display format for the following items in the Edit List has been modified. - Active D-Lighting under Camera Settings in the Develop section. 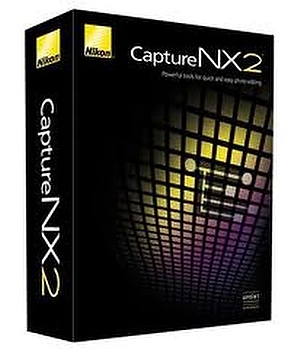 An issue that prevented sufficient application of vignette control enhancement for RAW (NEF) images captured with the Nikon 1 V1 and Nikon 1 J1 with A firmware Ver. 1.10 or 1.11 and B firmware Ver. 1.10 installed has been resolved. An issue that prevented accurate display of lens information in the Metadata palette for images captured with the Nikon 1 V1 or Nikon 1 J1 and a 1 NIKKOR lens has been resolved. 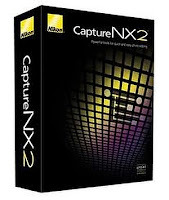 When certain images with GPS information attached were saved in JPEG format, Capture NX 2 sometimes quit responding. This issue has been resolved.